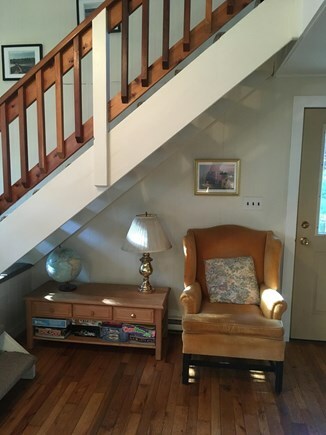 Walk to Town, Bike to Beach from this Bright & Cozy Saltbox! Sweetened Water Farm and bike path across the street! 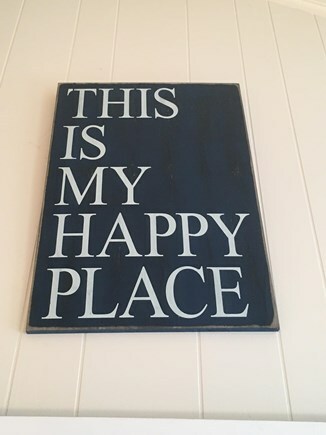 This could be YOUR happy place, too! 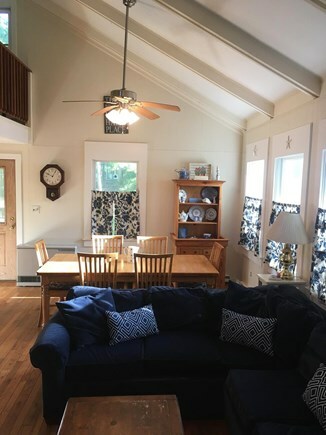 This cozy and comfortable home is ready for your enjoyment. 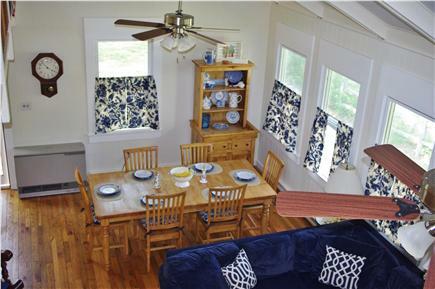 The vaulted ceiling in the living room and dining room make this cozy house feel large and intimate at the same time! 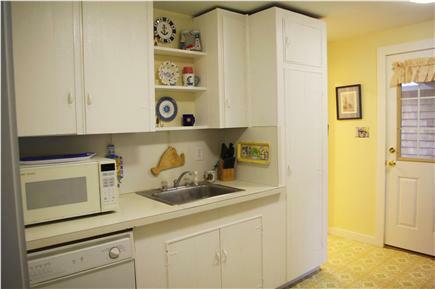 Amenities include a dishwasher, washer/dryer, Internet, a gas grill, and an outdoor shower. 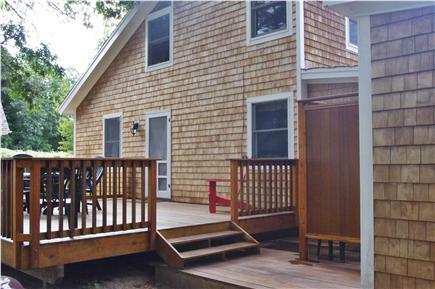 Separate decks in the front and rear of the house give everyone their own space to retreat to. Great house for the entire family! 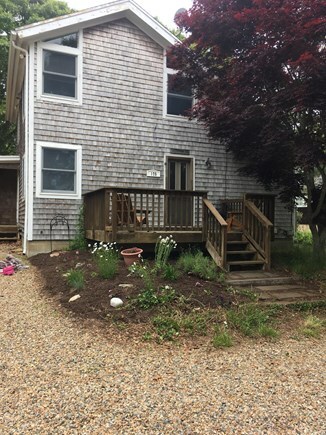 With the VTA bus route along West Tisbury Road and the bike path across the street, this house is conveniently located for families who choose not to rely on a car to get around! Some of the best beaches in the Northeast are only a few miles away. Just a half mile walk in one direction will lead you to a great playground, basketball hoops and tennis courts at Edgartown School. Another 100 yards will bring you to the corner of Main Street. 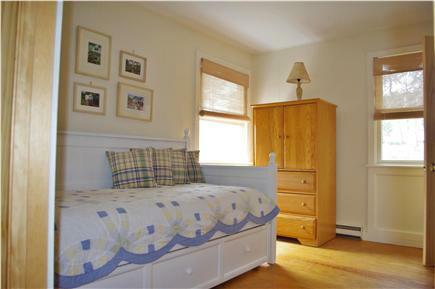 Enjoy downtown Edgartown minutes from the house! Or go to the right out of the driveway for a half a mile stroll to Morning Glory Farm for fresh produce, baked goods or a cup of coffee. 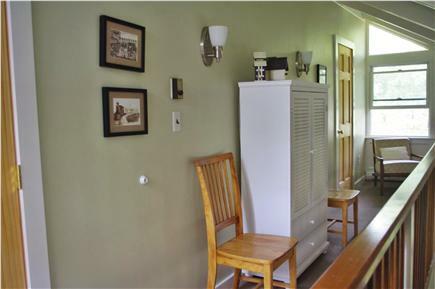 Past renters considered this home their home. If you rent it, you will want to come back again and again! 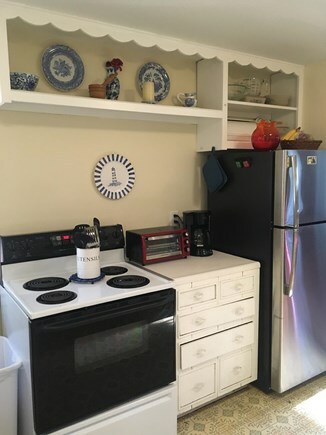 Call today to start creating memories on Martha's Vineyard at YOUR home away from home in fabulous Edgartown! 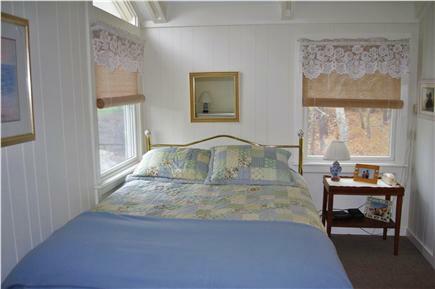 Additional pricing info: Off-Season $200 to $250/night, State and local taxes of 9.7% will apply. 1st floor bedroom and bath with shower. 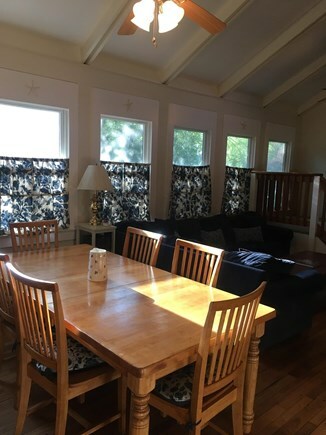 Beautiful home -- clean , plenty of room, beds very comfortable. The owner Michele was on point with everything. 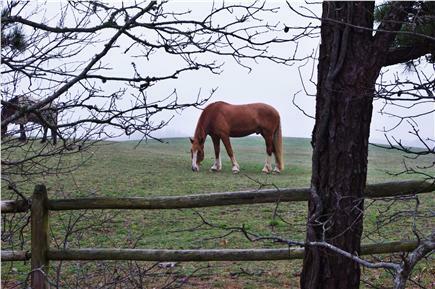 Close to my fav place, Morning Glory Farm. I hope to return next summer and maybe this summer. Hi Michelle ...we just love your home ...we have reanted from you for so long that we really consider it our own !! 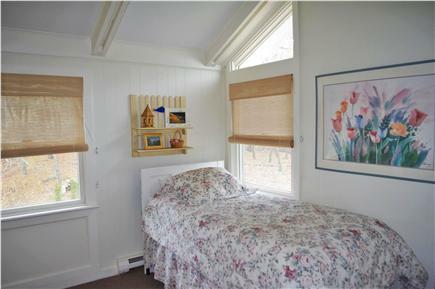 Location is fantastic, walk to town, walk to Morning Glory Farm and I like to walk to the beach !!! And the place really looks great with all the work you have recently done. On today, a very cold and rainy day, I am already looking forward to next July !! Your home is delightful. We had never been to the Vineyard before and staying at your home added to our pleasure! The cottage was fantastic- What a great yard! What a beautiful place to turn 40! Michael, who is 3 years old, thinks he has a house on Martha's Vineyard thanks to you and your family! Another great week on the island! Thanks, again, for letting us enjoy this house! Thanks a lot for sharing this little piece of Heaven with us! We enjoyed our mornings biking to Morning Glory Farm for fresh blueberry muffins. Edgartown shopping was great! We enjoyed the house! Same time next year! Thank you again for sharing this wonderful home with our family. This has become a family tradition for us all!